Taking away the toppings, many pieces of toast are found. They are small in size, crispy and rich in honey flavour. 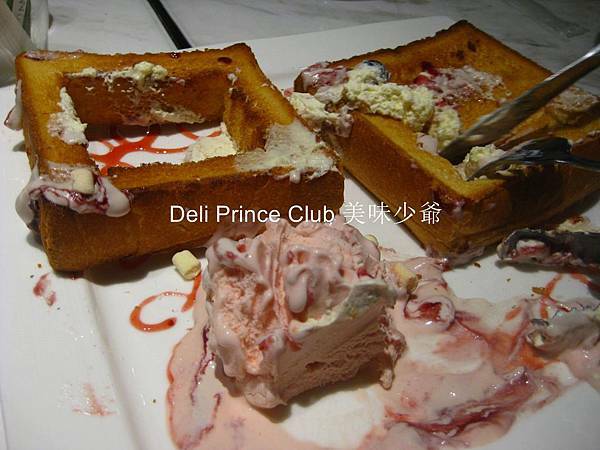 Since the toast is hot, it should be a very nice experience to eat with ice-cream. It should also be able to please children and youngsters. 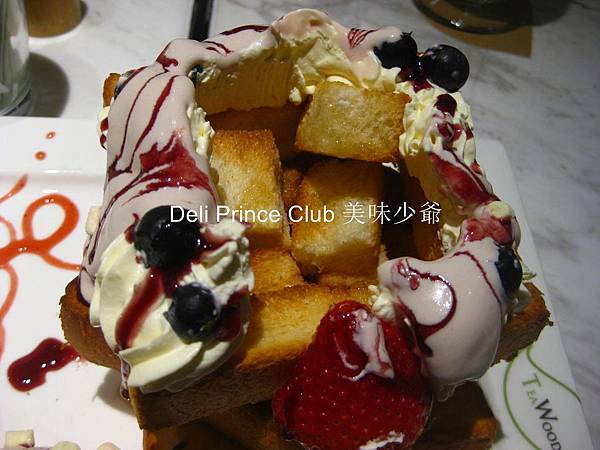 After dinner, this dessert is better to be shared by more persons, like three or four. December 2013. At ten o’clock at night, to queue up is needed. We have waitedfor about twenty minutes, a table is then allotted. But the restaurantis still full and some diners are waiting outside. We immediately ordertwo drinks and a signature toast. 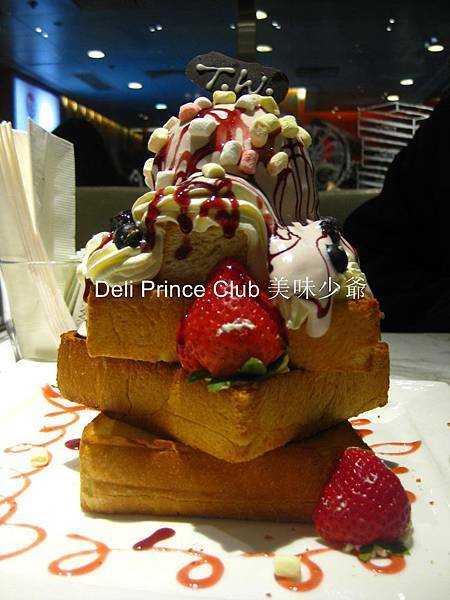 The item we would like to try is its signature toast. It looks great. 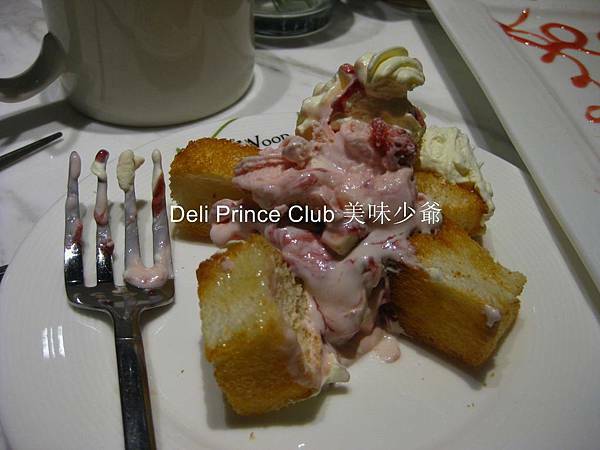 On top of three pieces of toast are yoghurt, cream and strawberry. try tonight. But we should have our next visit after a long time.